Home College Radio Fund The time has come: Apply for radio station grants! The time has come: Apply for radio station grants! We are delighted to announce this we are offering five radio station grants to college radio stations this semester. 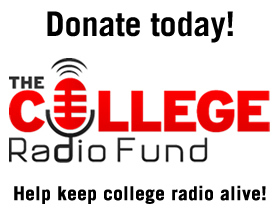 We have taken most of our sponsorship money and turned it into five grants that all College Radio Day participating stations are eligible to apply for. This is the first round of grants from our new College Radio Station Grant program which is a part of our College Radio Fund. Please visit this page to find out more, and to click on the application link! We will also announce the recipients of this first round of grants on College Radio Day, November 4. PreviousAn Announcement is coming, Tuesday, October 4!